Surcharging is the practice of retailers charging a fee for using a particular payment method, most commonly seen with debit card or credit card transactions. Retailers would usually incur a cost themselves for accepting such method of payment, this would be a fixed fee, a percentage per transaction fee or a combination of the both. As of 13 January 2018 the UK government implemented an EU directive into UK law, the change in law bans retailers from charging surcharges to customers that are purchasing goods or services for their own personal use. Business to business transactions, including transactions entered into by an individual on behalf of a business, are not covered by the ban but they are now subject to a law which states the surcharges must not exceed the retailers direct cost of accepting the payment method. This is the same as the rule that has protected customers purchasing for their own use since 2012. 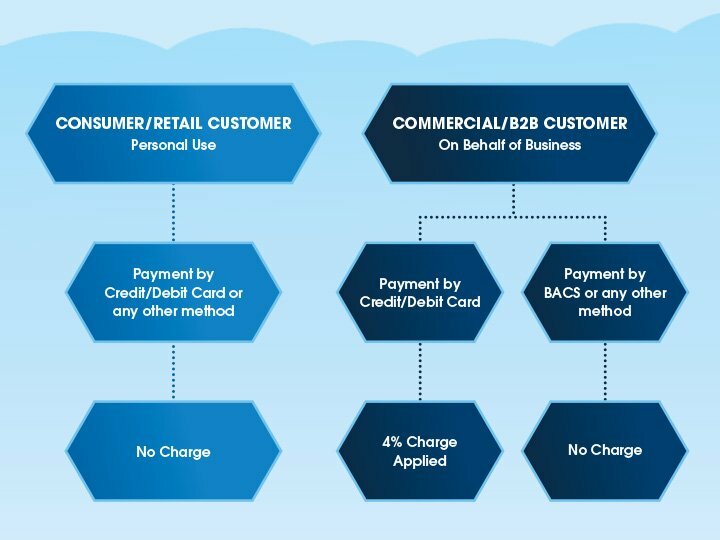 The flowchart below shows the process Shred Station follow when taking payment for services.